1895. MM G 194. Sch.nr. 33. Woll nr. 39. Papiret har skader langs kantene. 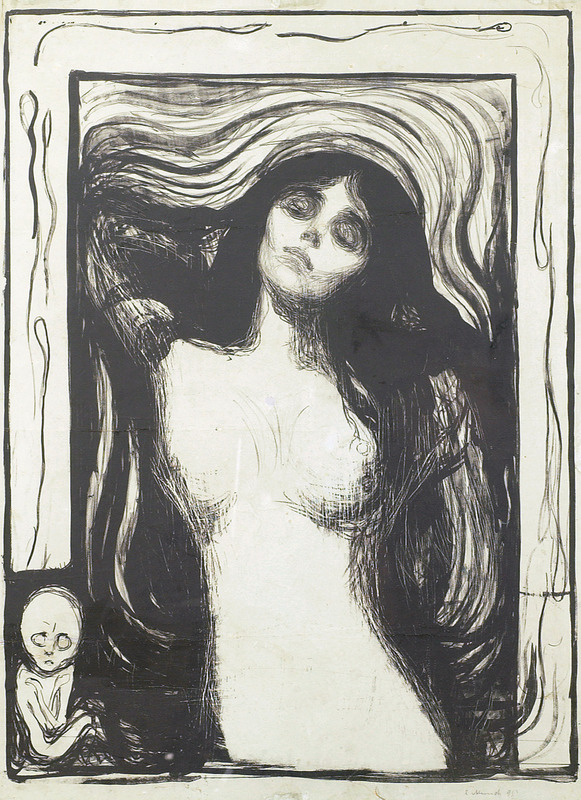 Registreringsbevis fra Munch-Museet medfølger. 1895. MM G 194. Sch.no. 33. Woll no. 39. The paper has defects along the edges. Certificate of Registration from the Munch-museet follows.